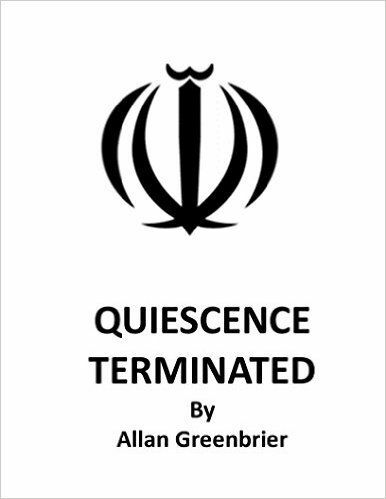 The plot for Quiescence Terminated is fine-tuned to the current state of Islamic terrorism attacks and U.S. politics. After two brutal attacks in the Vatican and Scotland with a religious and political target, intelligence services and police have difficulties finding out who’s behind these. The smart escape routes, the explosives used, and the absence of communications create a puzzle that’s hard to solve. Thrown in the mix are the Pope, Republican candidate for President Triunfo (Donald Trump), a weak Democratic female counterpart (Hillary Clinton) the internationally recognized evangelist Reverend William Greeham Jr. (Billy Graham), selfish career aspiring NSA agents, bureaucrats, as well as radicalized Muslims under the influence of Iran. Allan Greenbrier alternates telling the crime story from the viewpoint of an NSA agent and Islamic terrorist. Both seem to act as parasites. Though smart, they cannot operate alone, and need to communicate. Q&A on Islam via text messages introduced by Lady Gaga ringtones is both an inventive way of breaking up the storyline into smaller pieces as well contributing to the modern feeling of distress and disruption at crucial moments. Readers are taken along the path of radicalization towards the ultimate chance to make a monumental mark changing the course of history. How and when exactly….I leave up to you to discover by reading Quiescence Terminated. An interview with the Allan Greenbrier can be found online. I received a free review copy from the author in exchange for my personal, unbiased review. Congress Infilltrated by Islamic Terrorist Org..